Biotechnology,an offshoot of Biochemistry/ Plant & Animal biology,includes microbiology, molecular biology, genetics, chemistry, biophysics, chemical & biochemical engineering. The program not only helps develop skills required in the use and application of standard software for Bioinformatics but alsoenables a graduate student to acquire a range of subject related key skills to carry out independent scientific work/ interdisciplinary research, or venture into entrepreneurship. Students will be able to carry out basic instrumentation with respect to DNA, isolation, purification, quantification and analysis. 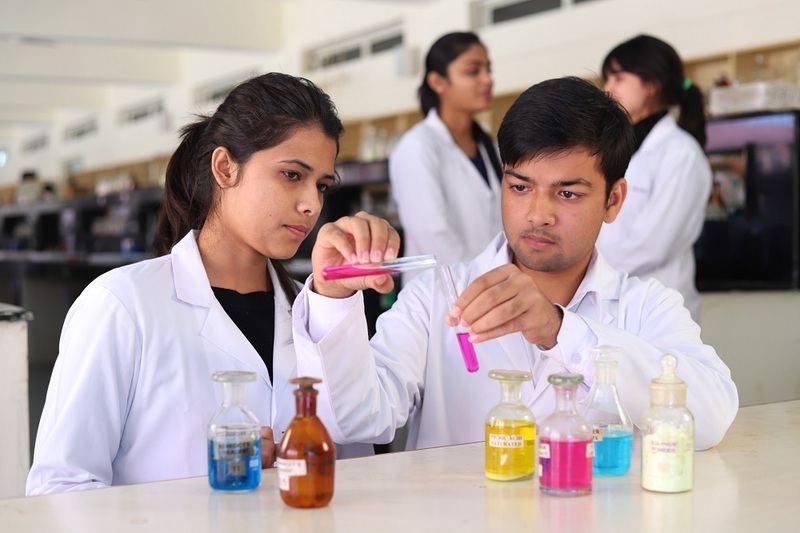 Students will also be able to apply a scientific approach to problems, expertise in laboratory techniques such as microscopy, spectrophotometry etc. Biotechnology jobs in India can be found in the field ofDrug and pharmaceutical research, Public funded laboratories, Chemicals, Environment control, Waste management, Energy, Food processing, Bio-processing industries, Healthcare, Agriculture & Fisheries, Forensic Studies and Bio-farming. Jobs as Biostatistician, Calibration Technician, Research Assistant, Food Technologist, Food/ Industrial/ Environmental Biotechnologist, Scientific Laboratory Technician etc.